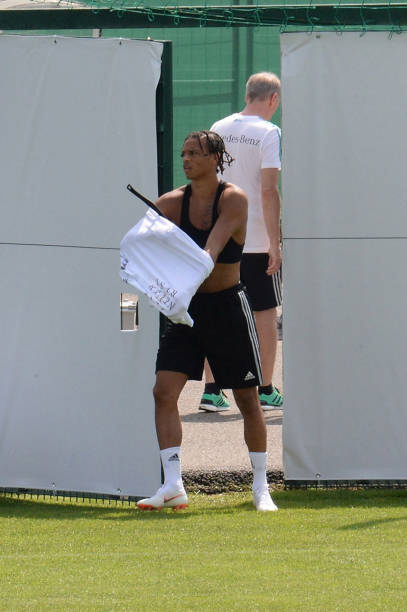 Leroy Aziz Sané is a German professional footballer who plays as a winger and as an attacking midfielder for the German national team. He made his professional debut for Schalke 04 in 2014 and transferred to Manchester City in 2016 for an initial £37 million fee. He was voted PFA Young Player of the Year in 2017–18 after helping City win the Premier League and EFL Cup. 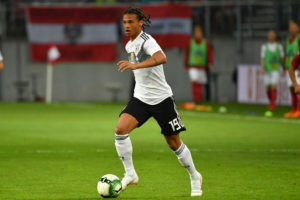 Sané made his senior international debut for Germany in November 2015 and was part of their squad that reached the semi-finals of UEFA Euro 2016. 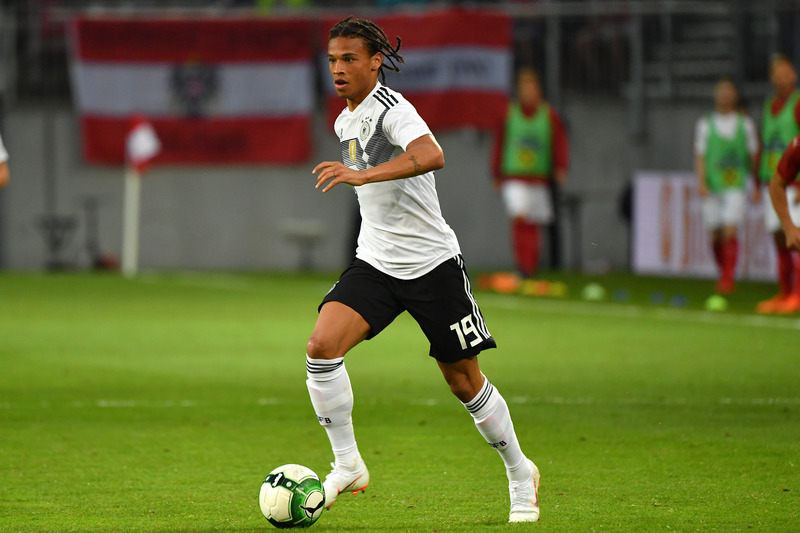 Sané was first called up to the Germany under-21 team by youth coach Horst Hrubesch on 28 August 2015 for the friendly against Denmark and for the 2017 UEFA European Under-21 Championship qualifier against Azerbaijan. 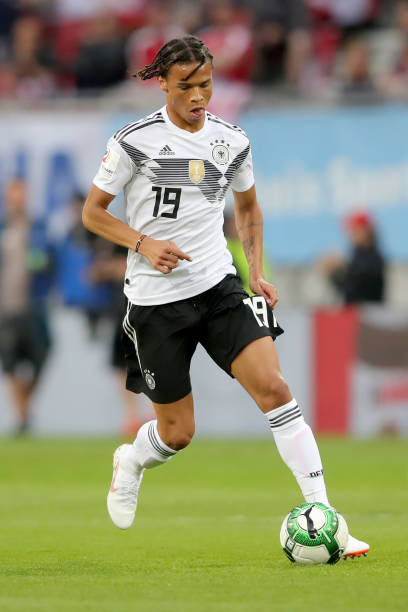 On 3 September 2015, he made his debut for the German U21 side in a 2–1 win at Stadion an der Lohmühle in Lübeck against Denmark, where he was replaced after 73 minutes by Julian Brandt. 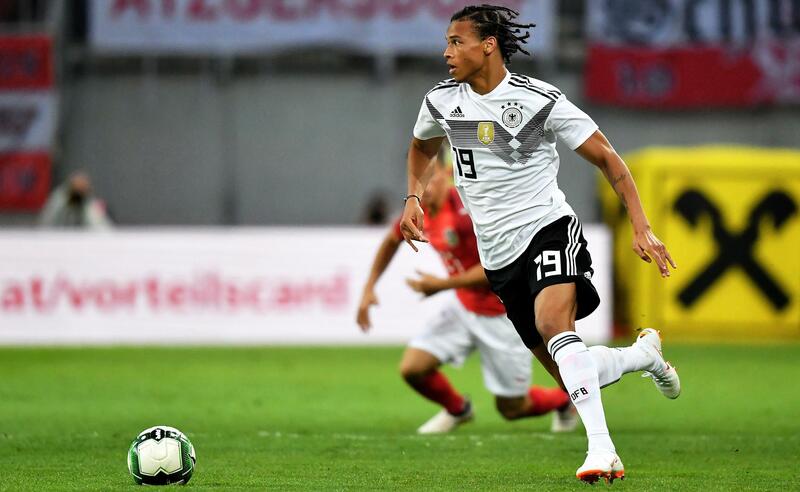 Sané received his first senior call-up to the German senior team on 6 November 2015 in a friendly against France. 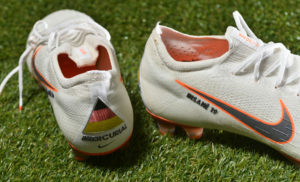 On 13 November 2015, he was substituted in the 61st-minute for Julian Draxler in a friendly match against France in Saint-Denis, in what would be a 2–0 defeat for the Germans, overshadowed by shootings and explosions around the stadium. 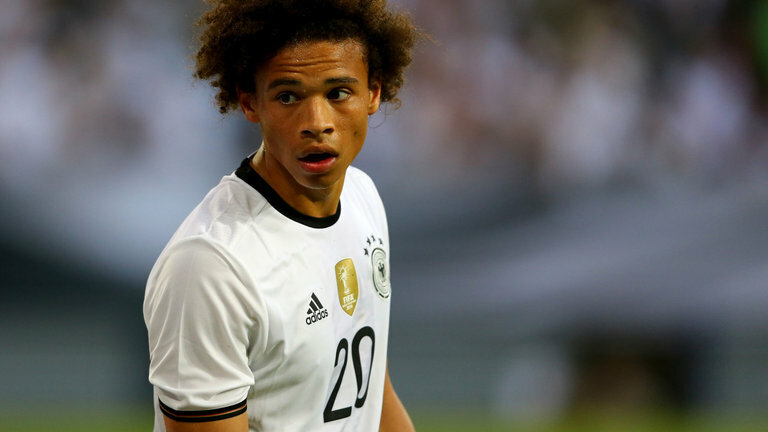 Sané was selected by Germany boss Joachim Löw to represent the country at UEFA Euro 2016. He participated in one match, replacing Bastian Schweinsteiger on 79 minutes in Germany’s 2–0 semi-final defeat to France. Sané was eligible to play for France because he holds French citizenship. These Nike boots are the FIFA World Cup “Russia 2018” model especially made for World Cup players. They were used by Leroy Sanè for all pre-World Cup games and training but not during the World Cup as expected because the player was omitted from Germany’s final 23-man squad on 4 June 2018 few days before the competitions begun. In September 2018, after he was selected for the squad to face games against France and Peru, he left the team hotel after a discussion with Joachim Löw, citing “personal reasons” as his cause for leaving. 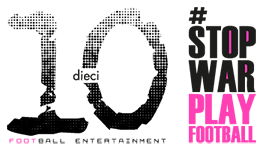 It was later revealed that the reason for leaving was due to the birth of his daughter. 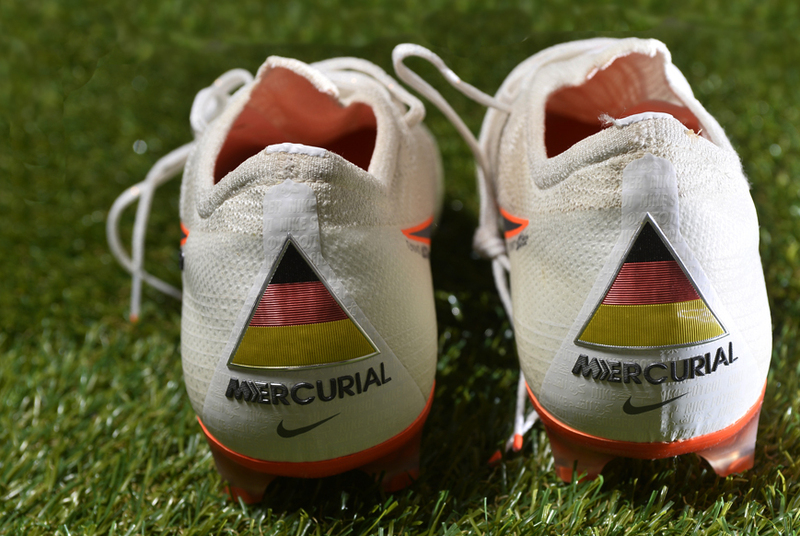 On 16 November 2018 he scored his first goal for Germany against Russia following an assist from Serge Gnabry. 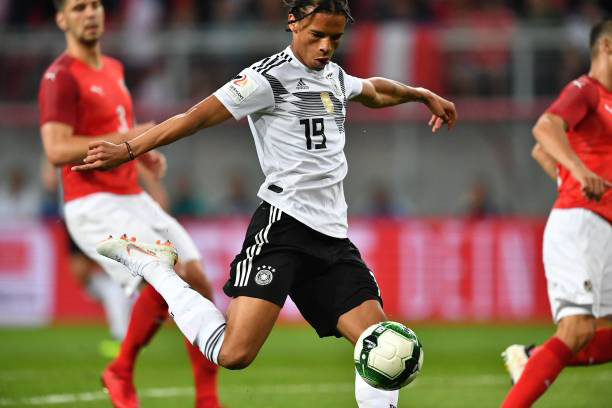 The goal came in the 8 th minute of the game as Germans won the game by 3-0.